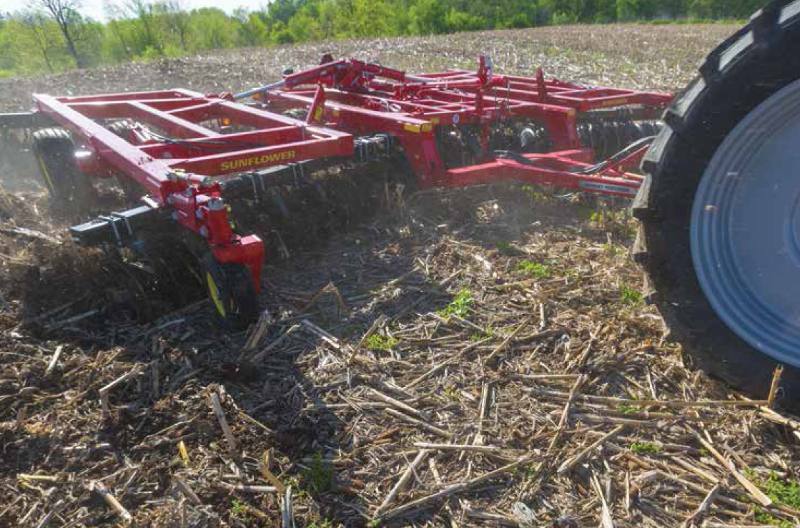 The Model 1234 Disc Harrow is a medium weight disc that capably handles primary through finish discing operations. An all welded frame features even weight distribution for uniform penetration, and the three flexible sections assure that rough, rolling and terraced ground will be tilled evenly and smoothly. Large tires provide excellent flotation, unmatched depth control and the base for level discing. Like all Sunflower discs, the 1234 is loaded with features that give it a definite edge over competitive brands. These features will save you time and enable the 1234 to always provide a level job of discing, regardless of terrain, discing depth, and/or soil condition.